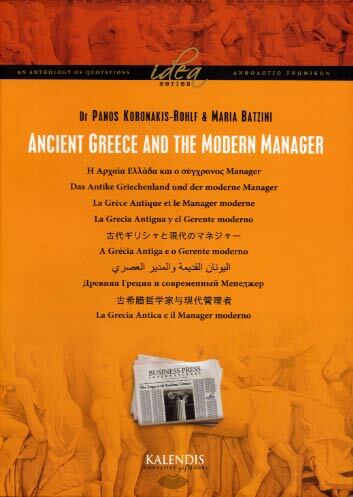 A carefully selected anthology of 142 quotations from 34 of the greatest Ancient Greek Philosphers who share their wisdom with the dynamic manager of our times and provide an invaluable guide to chart a creative route. This volume is a challenging and innovative tool, designed to offer simultaneous translation into the following languages: Ancient and Modern Greek, English, French, German, Italian, Spanish, Russian, Arabic, Chinese, Japanese, Portuguese. A superb gift for yourself and your friends, customers and collaborators worldwide.